Definition at line 220 of file llviewerinventory.h. Definition at line 644 of file llviewerinventory.cpp. 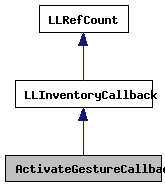 References LLGestureManager::activateGesture(), gGestureManager, and LLUUID::isNull().